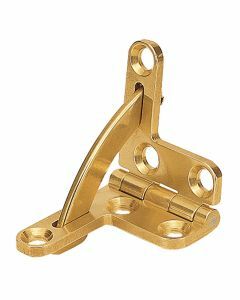 WHAT IS A QUADRANT HINGE? 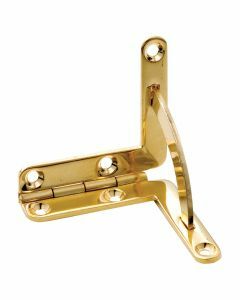 Typically used in the rear corners of jewelry boxes, humidors and other small decorative boxes, these L-shaped hinges also provide lid support, holding the lid open between 90° and 100°. 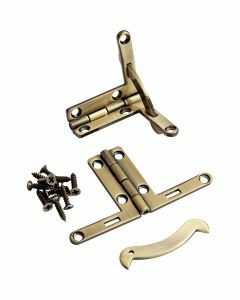 These hinges typically require mortises in both the lid and box, with a deeper secondary mortise in the box to accommodate the hinge support arm when the box is closed.